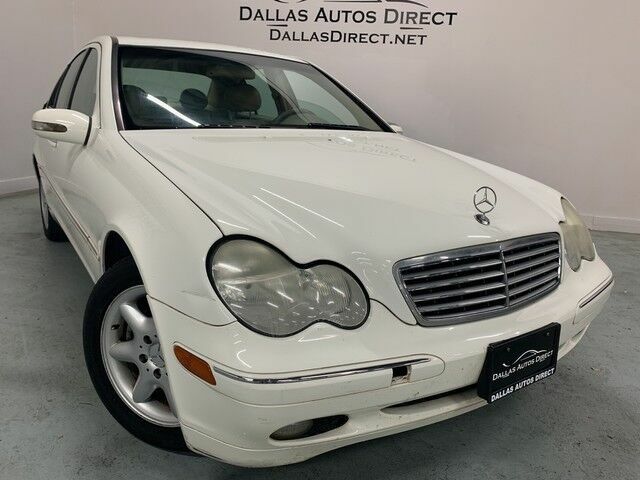 Dallas Autos Direct has a wide selection of exceptional pre-owned vehicles to choose from, including this 2004 Mercedes-Benz C-Class. Your buying risks are reduced thanks to a CARFAX BuyBack Guarantee. The CARFAX report for this 2004 Mercedes-Benz C-Class 3.2L highlights that it's a One-Owner vehicle, and for good reason. A One-Owner vehicle gives you the feel of owning a new vehicle without paying the new car price. If not for a few miles on the odometer you would be hard-pressed to know this 2004 Mercedes-Benz C-Class is a pre-owned vehicle. Just what you've been looking for. With quality in mind, this vehicle is the perfect addition to take home. Finance available with applicable fees.